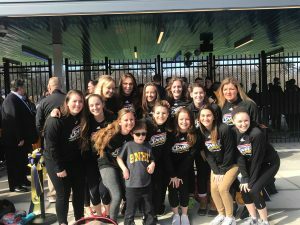 The ribbons have been cut, as Penmen Stadium had its grand opening on February 24 on a beautiful morning. 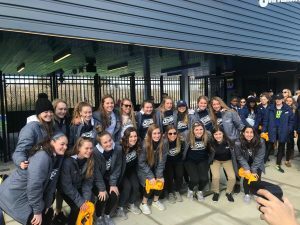 Penmen Stadium is now home to the men and women’s soccer, lacrosse and tennis teams, as well as women’s track and field. 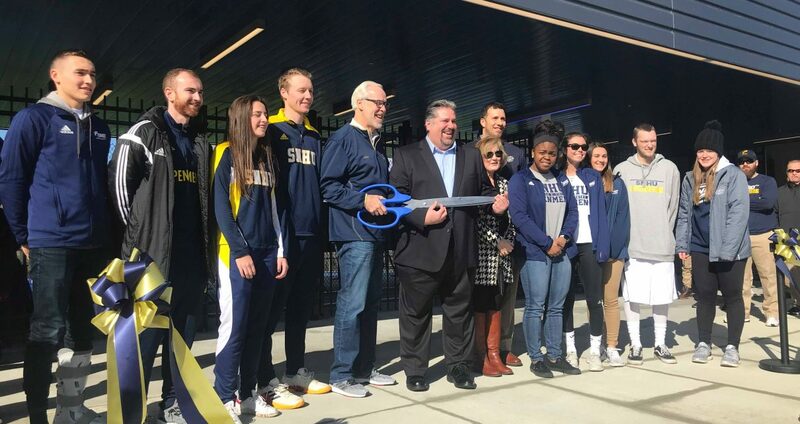 This newest addition to campus features a 1,500-seat stadium, six tennis courts and new track and field facilities, including an eight-lane track. While all of these are exciting for athletes and audiences, the thing most athletes expressed their excitement for? The locker room. 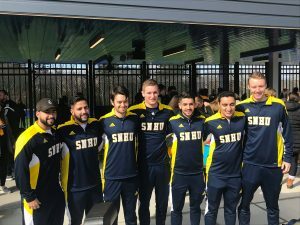 “We never had a locker room, so for us, having a locker room is outstanding,” said Tiago Fernandes, captain of the men’s tennis team. For him, the team having their own space to talk, prepare and keep their belongings is a big leap; it makes him feel as though their team now has a home. 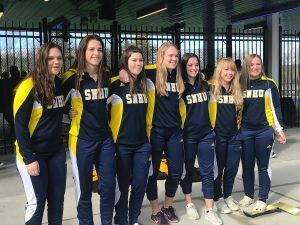 This is not the only perk, however, as the tennis team will now have six courts as compared to four, meaning “game flow is going to change, going to be quicker, faster,” said Fernandes. 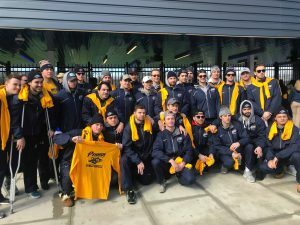 In addition to these updates, the inside of the new facility “features media and productions suites, a custom, two-level, 5,200-square foot strength and conditioning center, a training room, equipment room, expansive locker rooms, 16 offices for coaching staffs and a Penmen Club space with sliding doors that open to a balcony with [great] views of the playing surface,” according to SNHU Penmen. 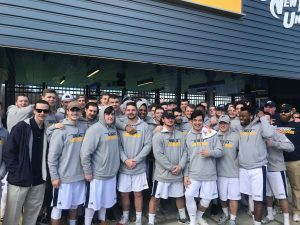 Penmen Stadium is now open for game play and was christened with a 14-11 victory over Georgian Court University by men’s lacrosse. 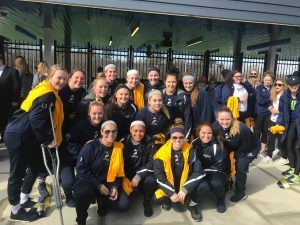 The women’s lacrosse team will kick off their season there today at 3 p.m.